HockeyBuzz.com - Forums - Justin Lowe: Thank You, Joel. Forums :: Blog World :: Justin Lowe: Thank You, Joel. Justin Lowe: Thank You, Joel. Thanks Z, sorry to hear about your dog. Losing Man’s best friend is like losing a family member. IMO, keeping StanBo only prolongs the suffering and lack of Direction. If they are a rebuilding team, why is Kunitz playing over Kampf or Highmore? Why bring in Manning when you have Dahlstrom who is better and has more upside? Even Hillman looked better in his games last year. Same can be said with goalies in Forsberg and Delia who are no worse than Ward but need game action. Either blow it up and go young or add pieces that will actually help you win. Seems they are doing neither...stuck in limbo and wasting Kane’s elite play. 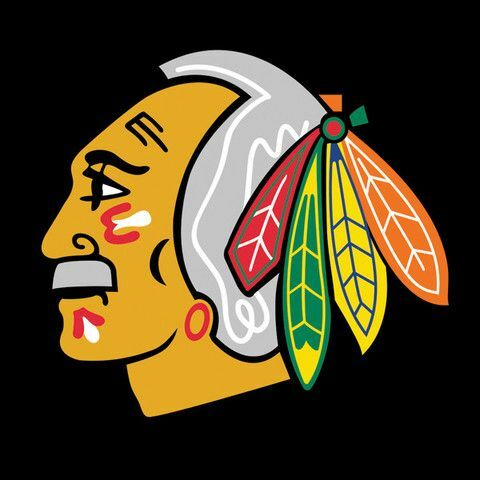 As a Hawk fan from the Savard, Secord, Larmer, Wilson era, this reminds me of some of the Bob Pulford days when coaches had to pay for bad front office decisions. While the head coach is usually the first one to take the fall for a bad performing team, there is something about this that stinks. Does anyone else feel like this is Bowman conniving to get rid of a guy he did not hire? While Q's line blender was frustrating at times, I tend to give the benefit of the doubt to a guy with three Stanley Cups and over 1,000 wins (reg and playoffs). Bowman put this roster together and has made some horrific trades (sprinkled with a few good ones) along with some terrible contracts (what washed up former Hawk will he bring in next?) which massively handcuffed the team. I certainly give credit for revamping the team after 2010, but that is a lot easier to do when Kane and Toews were not making $10M each. With the solid start to begin the season, this move looks like it was planned all along with Colliton biding his time in Rockford. The current slide that the team is on appears to be the excuse that Bowman wanted to launch Q. If he was anyone other than Scotty Bowman's kid, would he have gotten this job and/or retained it after some of the terrible moves he made? Q does have his faults, but you can't make Filet Mignon from horse meat. Bowman put this team together and should suffer the consequences of his decisions. While I certainly will cheer for the Hawks to win, if they lose and it costs Bowman his job, I will not shed a tear. All good things eventually come to an end. Even the Russians eventually had to make a move on their greatest coach ever Viktor Tikhonov. But Stanbo didnt forget that last name - he signed his grandson hoping to give Q another top six winger. I think Q will get over this day quickly, he knew what he had on the roster and it isnt good enough. Thanks to Q for being a big part of the three cups and to making us fans very, very happy! Its a business and change is sometimes needed even though he's still a great coach. Good luck Q and thanks again. In Seabrook's interview he mentions honoring Joel with improved play the rest of the season. I hope that we see the core group stepping up and playing inspired hockey for their former coach. Enzo, I Agree 100%, let kids play and see what they can do and who is good. Otherwise, unless there is a big internal mess, why fire Q now. He was an icon. The perfect coach at the perfect time for the City of Broad Shoulders. Q was a players coach, first and foremost, who never threw his players under the bus. He was respected by other coaches and players alike along with the media and the fans. His system was based on pace and seemed to be far ahead of it's time until the core started aging and the rest of the league started to catch up. His hands were tied with the salary cap and the roster, signings and trades that Bowman kept dishing him so maybe his time had come. Would have been a lot easier to stomach if Bowman was gone too. Thanks coach for all the great memories. You will be missed. Don't worry. It's coming soon enough. McD: "Colliton will be given everything he needs to succeed". Yup, except for Hossa. The Facebook comments on the news conference feed are priceless. It is bitter sweet. End of an era. But also exciting as a new one begins. 10 years is a pretty impressive tenure for any professional coach in any sport these days. Could be frustrating at times but certainly one of the best ever. Really a bummer for it to end like this and they haven't held anyone accountable for the roster itself but here we are. May not be a bad change in the end and adds another entertainment factor to the rest of the season. Thank you for your comment on prior thread. Great question. There is no doubt there is some culpability there with SB. While most fans understand cap constraints etc... Many may not fully appreciate that Chicago is no longer the primo destination for free agents anymore. The assumption is that the Hawks get first swing at all inbound college stars, euro players and free agents. I am not an SB apologist by any stretch, but it appeared to me that SB and organization have gone the route of drafting and signing the smaller faster players, which are thriving all over the league (see Tampa), but that conflicts with Coach Q's style. I am not saying Q is right or wrong, all we have to do is watch games and see teams gas the hawks with speed like we used to 5 years ago. I believe in the end, fans will embrace the move as the teams style of play and energy will greatly increase. And though they may not raise a cup this year, the club will leave it on the ice, which Chicago fans appreciate. McDonut: "Loyality teathered to results." Mr McDonut, please explain a 2nd rounder for Kimo Timonen? How is that a result? how in the Hell Stan still has a job is beyond comprehension. Rocky, McD, Stan, Colliton at the presser. They haven't held anyone accountable for the roster YET. It is coming I think. It was a great run for Q, but his time had definitely come. Regardless of his roster he kept trying to pound square pegs into round holes. PK, PP, breakouts, system, etc. none of it has changed much in all his years. The league figured out and adapted to his system and he didn't do enough to change it. Yes, most definitely the talent level on the team has declined, but it's up to a coach to adjust to the talent he has. Why continue to try the stretch pass that worked 8 years ago with a bunch of guys who haven't shown the ability, do something else, adjust, adapt.